PhD student in animal science at UPV - Spain. 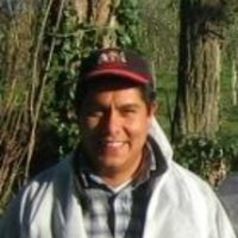 I am a researcher and professor in animal production, in the highlands institute of the National University of San Marcos in Peru. I am interested in studying the effect of livestock on climate change. My research is in the mountains of the Andes in South America. I´m am studying the emission of methane in different ecological scenarios and with different diets in ruminants and camelids.